Realistic projections at IGPC ethanol plant in Aylmer? 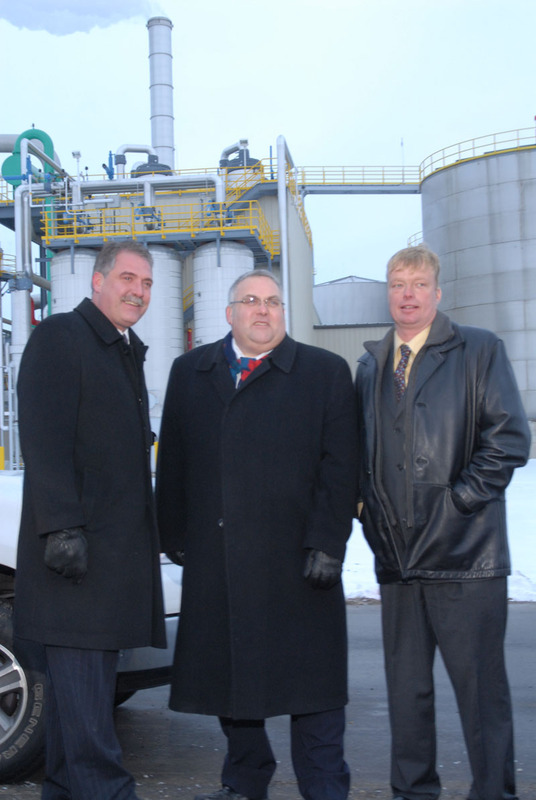 The IGPC ethanol plant recently brought online in Aylmer is projected to produce 150,000,000 litres of ethanol yearly, using 15 million bushels of corn. Are these still realistic expectations based on warnings posted by Jeff Wilson on Bloomberg.com recently that ethanol sales haven’t kept pace with the industry’s expansion, coupled with the fact at least six companies have sought bankruptcy protection in the past year. Here’s what’s noted by Wilson. Ethanol sales haven’t kept pace with the industry’s expansion, as the 64 percent plunge in crude-oil prices from the record in July has curbed demand for alternative fuels. Increased U.S. fuel-efficiency standards may cap the growth in ethanol just as yield-enhancing seed technology from St. Louis- based Monsanto boosts corn output, Wells Fargo’s Michael Swanson said. About 3.7 billion bushels of corn will be distilled to ethanol in the marketing year that began Sept. 1, up from a February forecast of 3.6 billion and 22 percent more than last year, the USDA said this month. In February 2008, it forecast 4.1 billion bushels would be used for ethanol this year. Ethanol production will consume about 31 percent of this year’s U.S. corn crop, up from 23 percent in 2008, the USDA forecast on March 11. Distillery shutdowns from New York to California are gripping the industry as producers curb output or seek bankruptcy protection. Archer Daniels Midland Co., the second-largest U.S. maker of the fuel, estimated on Feb. 3 that 2.7 billion gallons, or 22 percent of U.S. capacity, was idle. At least six companies have sought bankruptcy protection in the past year, including VeraSun Energy Corp., once the largest publicly traded ethanol producer. The Sioux Falls, South Dakota, distiller entered Chapter 11 proceedings in October after bad bets on corn prices. Every 1 billion gallons of ethanol production requires about 7 million acres of corn, Wells Fargo’s Swanson said. He estimates corn demand for ethanol may fall to as little as 3.4 billion bushels this year. “We can lose 2 or 3 million acres of corn and not significantly tighten supplies,” Swanson said. Farmers have little choice other than to keep planting and hope that crops in another area are damaged by weather, said Byron Jones, 68, who farms near Saybrook, Illinois. The economics may get even worse next year, as higher costs and lower revenue curb profit, making loans harder to get, he said. With an ethanol plant now up and running in our own backyard, this proposal should prove intriguing for St. Thomas and Elgin. Moreso in light of increasing complaints about the current municipal waste contractor. BFI. Ethanol demand is growing rapidly. At the same time, entire countries are running out of landfill space. So why not take care of two issues at once and turn all that excess trash into ethanol?